It’s a tall order to stand out at a trade show – so how do you manage that and how does creative design translate into an impressive booth space? Companies spend a lot of time and money preparing their trade show presence, so it’s vital to consider how trade show booth design can give you that leading edge at your next event. In this blog, we will review what design elements you should incorporate to excite and intrigue your audience and give you an edge with a stunning exhibit. 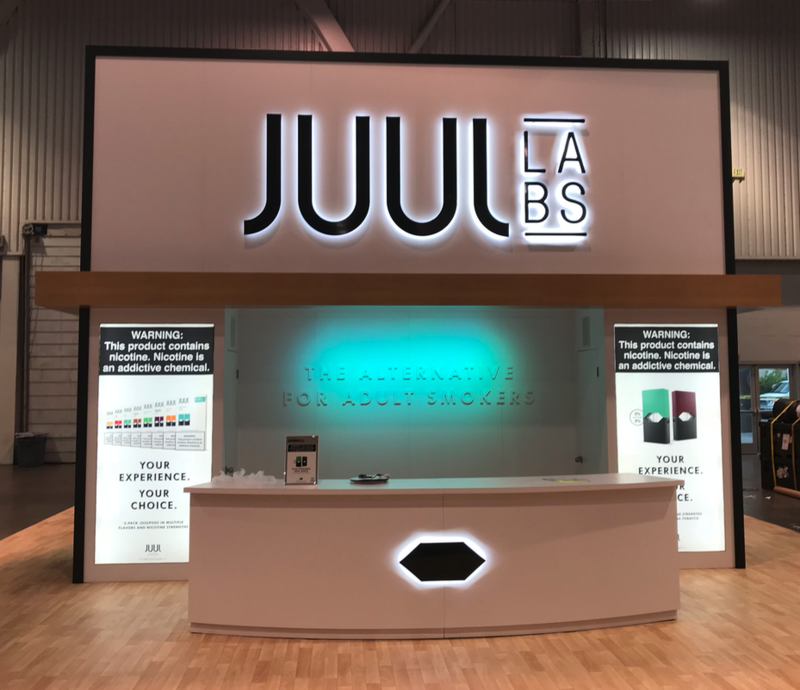 In a recent blog, we covered integrating brand into your design, but we would be remiss to not mention it here when reviewing key design tips for creating an impressive booth. Work with the design team at an exhibit house to implement your brand in unique ways and using brand colors or materials. This is an important opportunity to make an emotional connection with prospect, and have meaningful interactions while being true to who you are. Today audiences are sophisticated and expect to see innovative presentations and ideas at trade shows, including multimedia and new technologies that will help draw and retain your key audiences, while conveying key information about your company or brand. This is often the wow factor is many booths, incorporated into the design of the booth itself. Lighting can make all the difference in any situation, but especially on the trade show floor where it can draw attention to product or parts of your booth that help tell your story. Perhaps it’s the booth architecture you want to highlight, or product display, or even graphics. Establish consistency, and consider options that attract people into your booth, such as with floor lighting that leads people into your booth space, or illuminating the registration counter or display areas. Focus on delivering one or two key messages to prospects quickly and clearly in large fonts. A few short seconds is all you have to communicate what your company offers so make it succinct. Regardless of whether this is conveyed via monitor, traditional graphics, lit graphics or maybe even overhead mounted graphics, how you deliver your company information should be incorporated into the overall scheme in a simple way so someone will know what you are all about at a glance. Keep booth design purposeful and welcoming—not overcrowding the booth area with anything that is not necessary. Put some thought into the flow. Less is often more with booth design, so focus on clean open spaces where prospects can congregate and learn while experiencing your product or service. The most valuable real estate is often times the back of the booth. The back wall of your booth can be the main attraction of your booth where you organize products in an unusual way with shelving, lighting, visual elements, technology, etc. Make a demo area interesting by incorporating something unique about your product or how it can be used. In order to get started, consider how customers use your products and what ways to best display/demo. It may be a two sided interactive bar, or welcoming kioks, or seeing a product in action. Once you determine how you want prospects to experience your brand, the next step will be to design with this in mind. Determine engagement points first so that they are part of the exhibit requirements list, and then design a display that will support those engagement points. Don’t underestimate the potential ROI on a well-designed booth. Making an impression on the trade show floor is just the beginning – prospects will leave talking about you and your company because of presentation and interaction they had. In the end, the best design is simple and effective. Making a bold statement need not overwhelm prospects. If you are ready to explore possibilities, call exhibiTeam today. Our design specialists are available to provide no cost consultations.